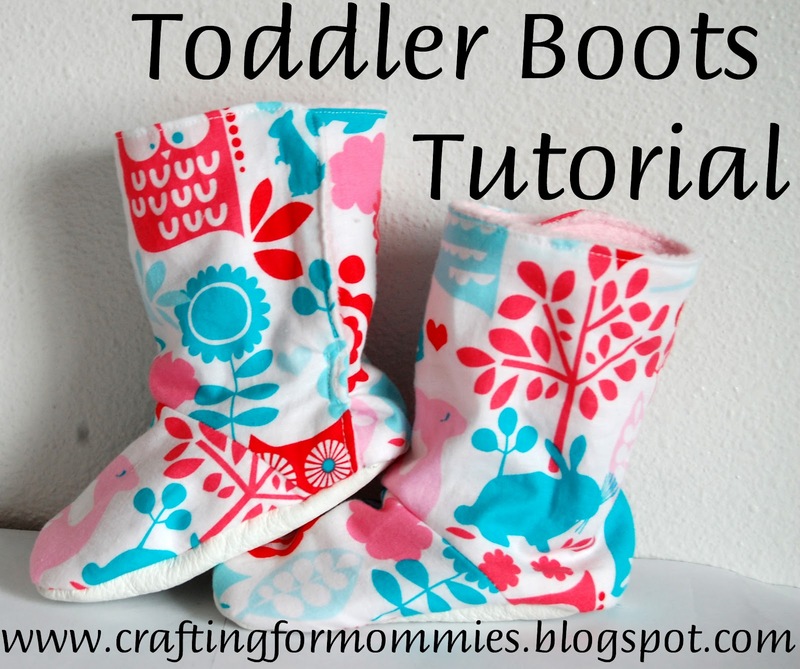 / Kiddos / Baby / You Asked For It….Toddler Boot Tutorial! 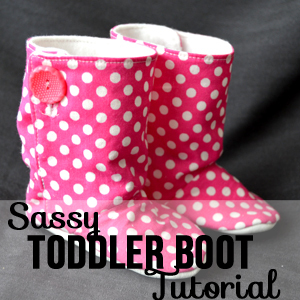 On to the toddler boot tutorial! The great thing about these is that you have a lot of options when it comes to fabric choices. For this pair, I used a Michael Miller cotton print for the outside, a fleece solid for this warm inside, and soft white leather scraps for the sole. You’ll also need 13 inches of elastic and about 5 inches of velcro. Make sure the pieces mirror each other! 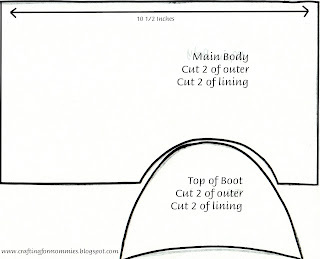 Sew the elastic ends onto the lining main body piece using a 1/4″ seam allowance. It should be placed approximately 2 1/2″ from the bottom. Then you’ll want to pull the elastic tight with the fabric and use a zig zag stich to sew all the way across. When you release the fabric it will gather. Separate the hook and loop velcro pieces, and stitch them onto the outer fabric pieces on the end opposite of where the cut out is. You’ll want it to be 1 inch from the top and 1 inch from the side. 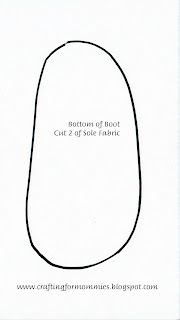 Line up the longer curve of the shoe top to the cut out in the main body piece. Stitch using 1/4″ allowance. Repeat this step with the lining fabric. Right sides together, sew the lining and outer fabric together along sides and top, NOT THE BOTTOMS! Turn right side out and top stitch 1/8″ around top and sides. I missed a photo somewhere, I hope I can describe this step well. All you have to do is line up the velcros, this will cause the ends to overlap. Sew in place from 1″ below velro to bottom. Make sure to catch elastic ends at this time as well. Because the leather is soft on the wrong side, we don’t need a lining piece. Turn right side out & you’re done!! Please let me know if there are parts I need to improve or clear up. I’ve never really made a tutorial before so I’m always grateful for positive feedback. « Hop On the Braid Bandwagon! Soooo Cute! Thanks for the tut. Thank you for sharing this on The DIY Dreamer!!!! It’s an amazing tutorial!!! Found you in the link party.. Love the boots.. Now im going to look around your blog.. These are adorable! I may have to try making a pair for my granddaughter. which you can find in the site top menu under ‘featured’. You deserve the honor as your project is just absolutely GREAT. Thank you in advance for linking back if/as you do. Love these! They will definitely be going on my “things to make” pinboard. Thanks for the share. The little boots are just too adorable! Thanks for the tutorial! You should add a Pin it button on your posts. SO cute btw! 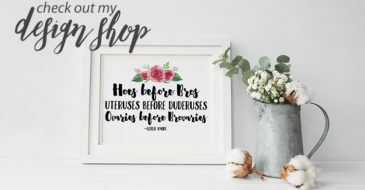 I want to make some for the girls! Gonna have to try this one! Very informative! So cute! I so need to learn to sew. Thanks for linking this up at Whimsy Wednesdays over at The NY Melrose Family. These are so cute! Thanks so much for the tutorial! OMG!!! How cute are these!!!! Hey, do you have any measurments for your pattern? The pictures dont give the size, or I might have missed something. Idk how big, etc to make the cloth. I want some!!!!!!!!!!! THANK you for linking up to SLEEPY SUNDAY!! this is so cute 🙂 i’m going to make a pair for my niece. I was going through the responses and saw your and thought, hmm I wonder if she has measurements. I want to make some of these for my daughter. I don’t know what size to cut anything though. Can you help? Using a shoe that you already have as a pattern helps a lot – I printed out the pattern and did a rough with scraps first. If it needs to be longer then make the toe piece longer, keep the width the same though or it won’t match up. don’t forget to add seam allowance! I was going through the comments and I saw yours. You say your daughters are older and you’re gonna try the tut? Are you going to try it for them? If so, can you please tell me how you got the measurements? Thank you much. Thank you for sharing this!!! I subscribed long time ago to your newsletter but I didn’t see that post. 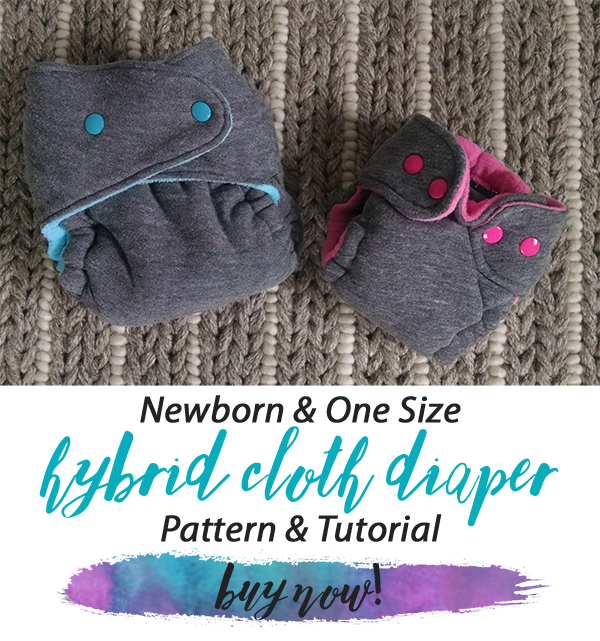 I was just looking for some slippers patterns for my toddler and thanks to creative me linky party, I saw your link. Awesome.. need to try this! I tried this out and it worked great! My boy has such fat feet I had to adjust the pattern a bit and make it bigger, they are too cute and easy to do! I also added lining and a sheet of craft foam to the base for more padding. Oh and I found doing a straight stitch over the zigzag around the bottom to help b/c my zig zags looked like they might pull out a lot faster. THANK GOODNESS FOR YOU! I’m making a costume for my toddler, and I couldn’t find boots ANYWHERE that would work. I tried drafting my own pattern, but that turned out gawd-awful (I’m not very good at drafting patterns…). This is perfect. Oh my gosh these are WICKED cute! I am going to have to make a pair or two of these! 🙂 Thanks for the tutorial! Wanted to make boots by the tutorial you provided. Grabbed scissors, paper and rulers to make a pattern for my girl and…. Wait… NO MEASUREMENTS other than 10,5 inches! What is the point of making a tutorial if it still needs a lot of improvement??? 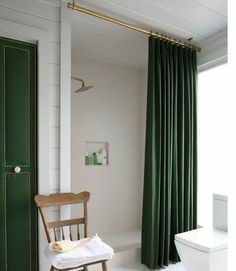 I would pin it , yes, just to look at. But as fas as sewing is concerned, it makes no sense. 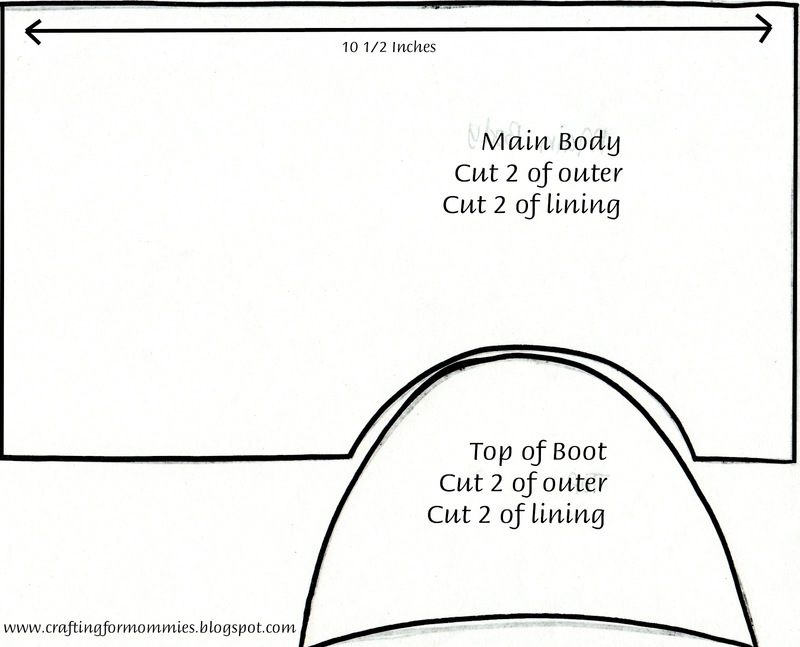 Sewing directions are fine but you forgot to mention the main part- measurements of the boot parts to build a pattern. I’m so sorry you had some trouble with this. This post was written a *long* time ago and I’m actually in the process of creating this as a digital pattern to sell in the future. Anyhow, if you click the photo f the pattern I drew and print it out, your pieces should be the right size. The 10.5 inch reference should match up once you measure it. Thinking back, I really should’ve put a 1 inch test square for printing on there but I was inexperienced and it’s a long process going through all my old posts to update them and keep them fresh. These are super adorable! 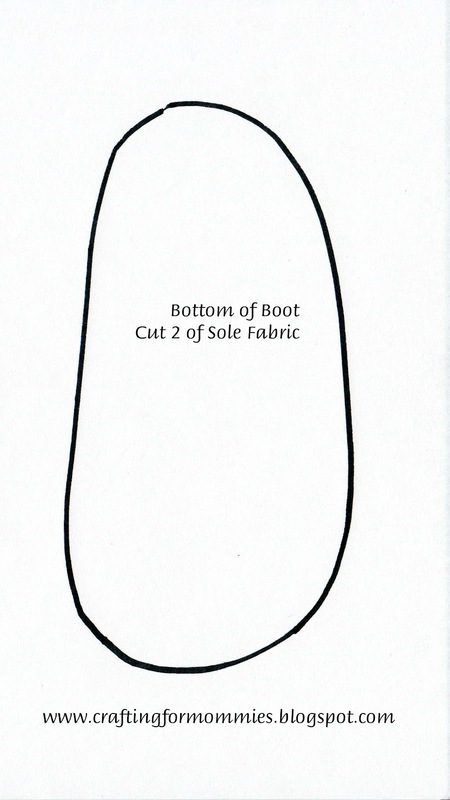 I’m just wondering what the length of the “bottom of boot” from toe to heel should be? I love these Sassy Toddler Boots but I just can’t print out the pattern pieces and confused about the 10 1/2 measurement. 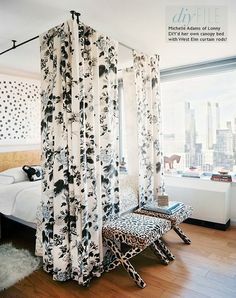 Would love if someone could explain or tell e where to get the pattern. My Grandbabies need these!!!!! I would LOVE to make these in adult size. They are so adorable. Any plans to make a pattern for adults? How big is the sole piece supposed to be? I see the 10.5in for the width of the top but need to know what the other one should be. I wanted to start this project today and didn’t see that one was missing a size. Hopefully you get this and respond soon! I still need to find leather or something to use for the bottom as the baby I want to make them for is nearly walking. Ha! Now I see the comment a few up. My phone didn’t show me that when I was reading through them last week. Any thoughts on how to size up and down this pattern? I really love it!